We are producing small scale furniture and decor for tabletop games. “Tiny Market Square” – 28mm citizens for historical or fantasy games with miniatures. LAUNCHED! No Comments on “Tiny Market Square” – 28mm citizens for historical or fantasy games with miniatures. LAUNCHED! Crowdfunding IndieGoGo campaign from Tiny Furniture! “Tiny Market Square” – 28mm medieval citizens figures. No Comments on Crowdfunding IndieGoGo campaign from Tiny Furniture! “Tiny Market Square” – 28mm medieval citizens figures. No Comments on Barren Lands IndieGoGo campaign is launched! Barren lands. A post nuclear tiny furniture. No Comments on Barren lands. 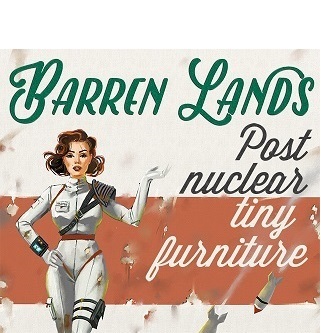 A post nuclear tiny furniture.